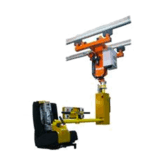 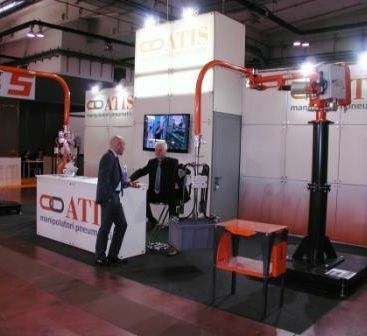 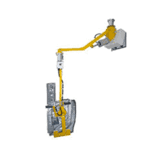 The wide range of Atis manipulators can satisfy the handling needs of practically any product according to its weight, working radius and required working cycle. 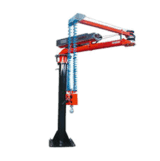 This not excluding the possibility of integrating, where permitted, with the customers production line. 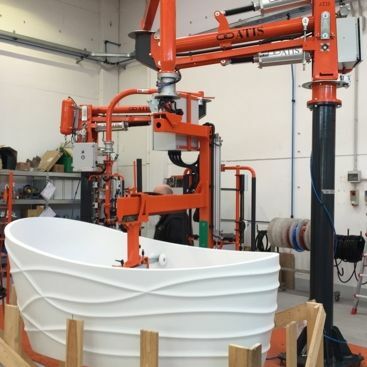 ATISMIRUS, ATISCER, ATISLINEAR and ATISFERAX come with wide range of solutions and configurations that consent their perfect integration within customers production line relative to customers requisites. 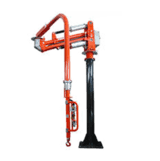 All the variants are available in the following configurations: fix to floor base-plate column mounted, auto stable base-plate column mounted (movable with pallet truck or forklift truck), column mounted base plate for floor tracks, fix overhead and fix overhead trolley mounted on tracks.